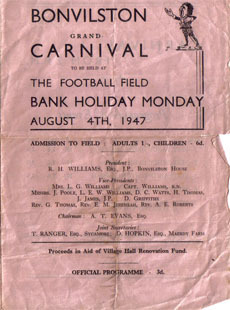 Original programme of the Bonvilston Carnival held in 1947. This was the second carnival to be held after the war. The monies raised were to refurbish the Reading Room which had fallen into a state of disrepair. The venue for the carnival was on the playing fields behind the Red Lion which today sadly are long gone, the land given over to the Village Farm housing development. With nearly 30 competitions it really was a major event in the area. 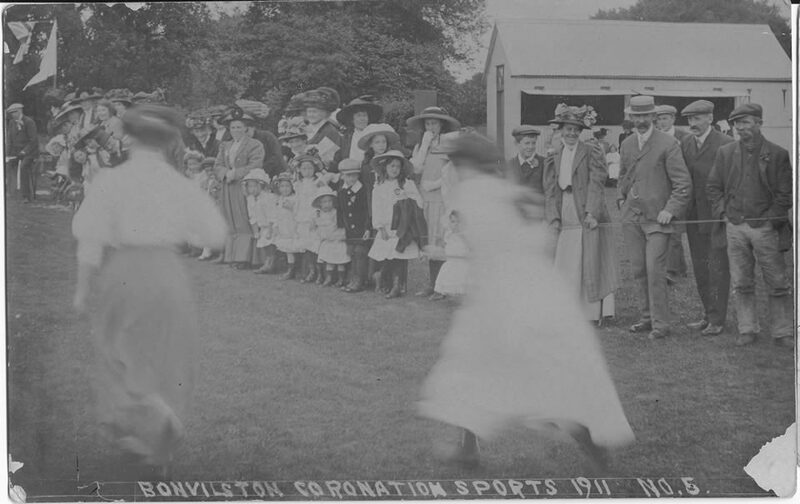 The top photograph on the right is dated from 1911 and in the background the 'Pavilion' can be seen. 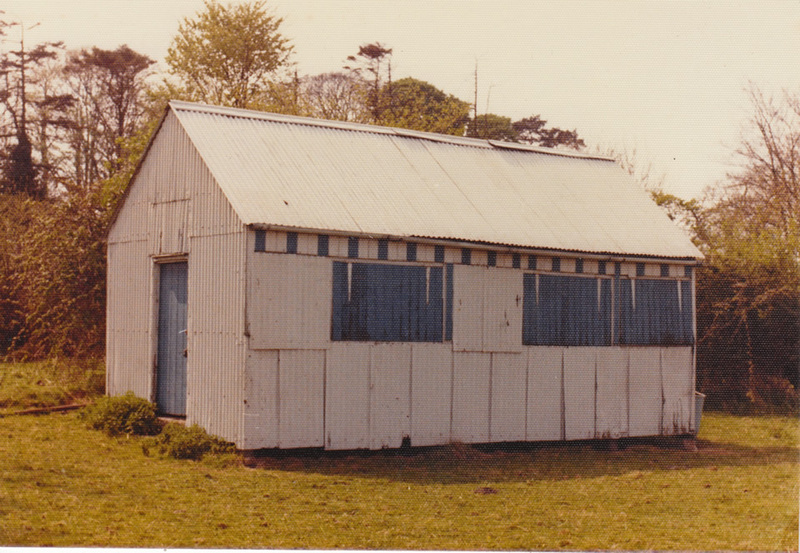 The colour photograph below of the same building dates from the 1960s. Having a construction similar to the Reading Room it lasted very well. One of the competitions was a 'Ladies Ankle' competition maybe something that could be revived today. 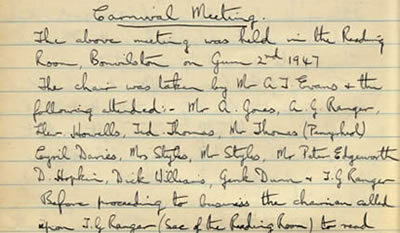 Reading Room minutes discussing the 1947 Carnival. There are some very interesting anecdotes in the minutes including discussions as to whether or not to allow the prisoners of war to come to reading Room events. Also the thorny issue of whether ladies should be allowed to become members. 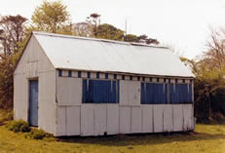 It must be remembered that the orginal use of the room was for the men of the village! 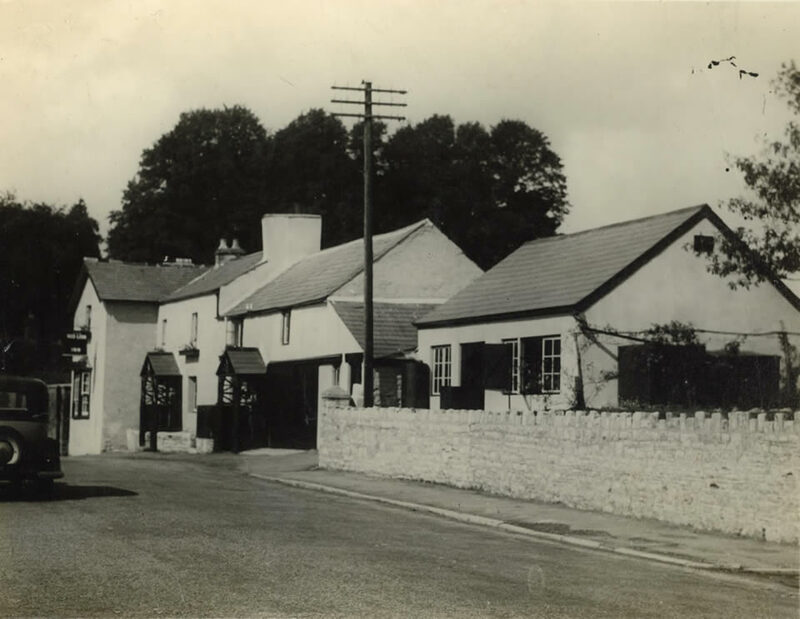 A resident recalls watching the Carnival parade outside the Red Lion and one man on a horse with a placard saying 'Britains's Hope More Soap'. A question raised in the House of Commons on 22 Jan 1947 recorded "that supplies of household soap and soap flakes are becoming increasingly difficult to obtain"